This vegetarian burger mix is certified organic by the Soil Association and allows you to make great tasting, wholly satisfying burgers – just the way you like them! Textured soya protein*, wholemeal breadcrumbs* (wheat*, yeast, salt), brown rice flour*, barley flakes*, onion*, vegetable bouillon* (sea salt, rice flour*, vegetables* [onion*, carrots*, parsnip*], yeast extract, sunflower oil*, parsley*, turmeric*), celery powder*, carob powder*, sea salt, black pepper*, cumin*, sage*, thyme*. 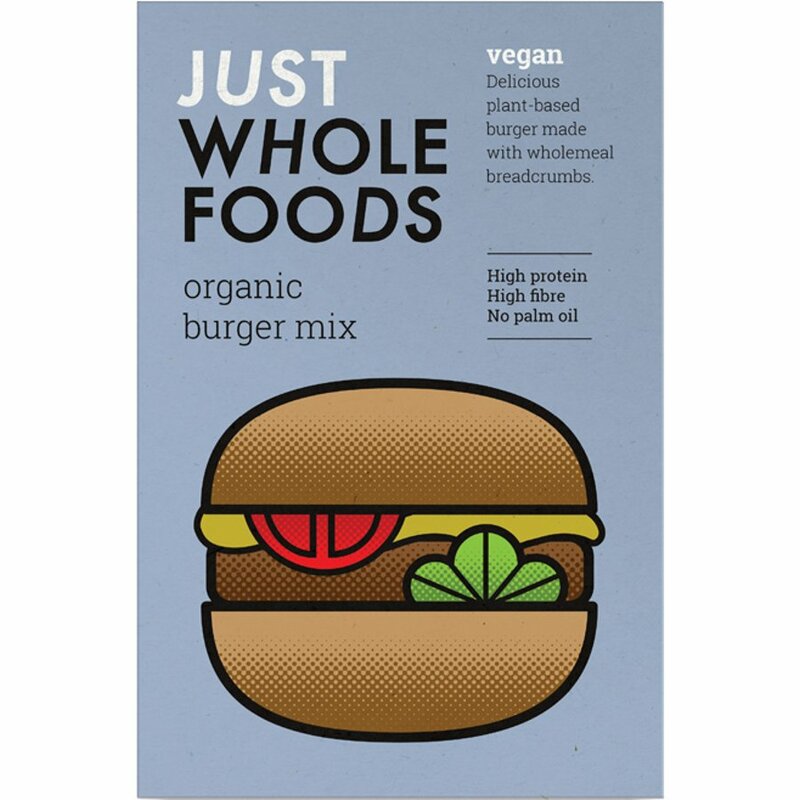 The Just Wholefoods Vegan Burger Mix - 125g product ethics are indicated below. To learn more about these product ethics and to see related products, follow the links below. I've not tried this yet. 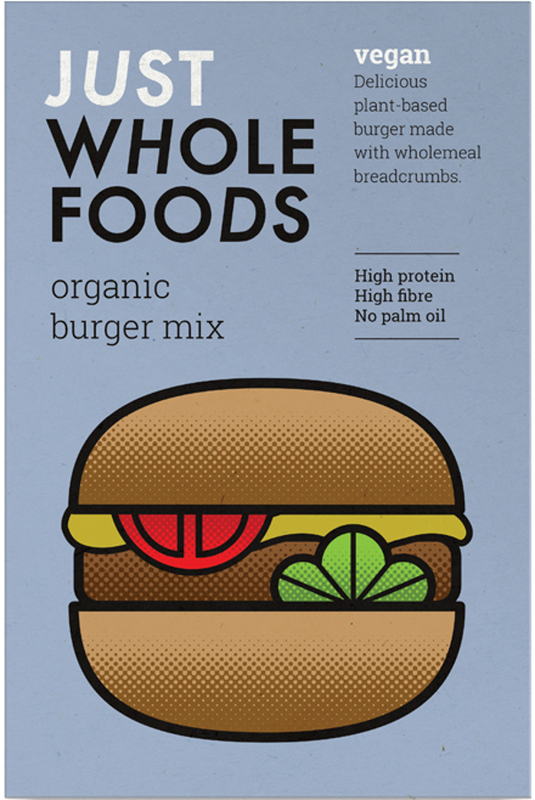 There are currently no questions to display about Just Wholefoods Vegan Burger Mix - 125g.